I love pho and will soon try making it myself using an authentic Vietnamese recipe. 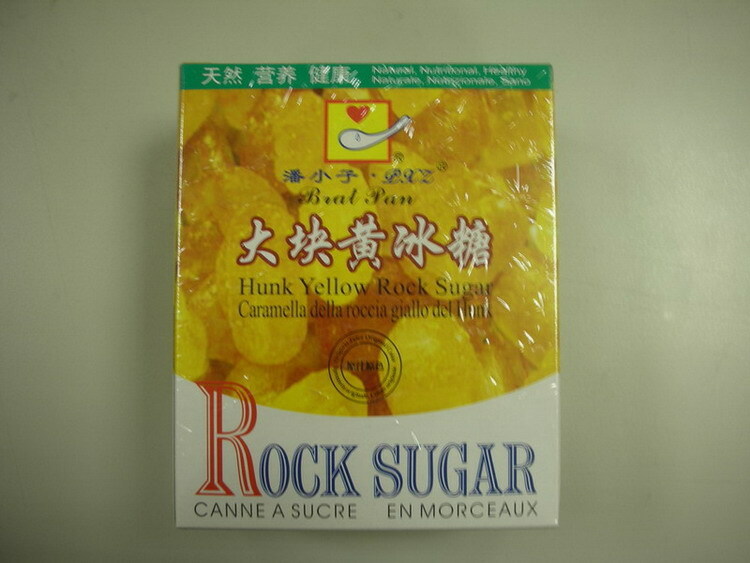 I'm clear on all of the other ingredients and techniques, but "yellow rock sugar" has me stumped. Is this what the recipe means? If so, does it really taste different from regular sugar? What's in the picture looks about right. This brand is commonly found in Asian grocery stores around here: (your mileage may vary). It is essentially crystallized cane sugar. If you really can't find it, you could probably substitute regular sugar. The flavour is a little different though, as well it isn't a refined white sugar. According to "this guy" (random search), there is a difference and the yellow rock sugar often includes a few other sugars (unrefined brown sugar), and that you shouldn't ever use the clear/white rock sugar for pho. Unprocessed lump sugar is readily available in our area of madison /sun prairie wi. Woodman's, multiple Asian groceries, you may even be able to use Mexican piloncillo. That tastes similar or same, but I think it may be harder?? I wouldn't use brown sugar, sugar in the raw and definitely not white sugar, the yellow rock is smoother, richer and non-cloying. Turbinado, sucanat or dehydrated cane juice would all be better than white or brown. Not the answer you're looking for? Browse other questions tagged sugar vietnamese-cuisine or ask your own question.